Fujitsu Laboratories Ltd. on October 13, 2016, announced the development of a CMOS-based millimeter-wave signal generator capable of modulating its frequencies across a wide band of 76-81 GHz at the world’s fastest speeds. This development, geared toward highly precise monitoring technology that will help realize autonomous driving, makes it possible to work with systems that prevent detection errors, and with targets moving at different speeds, such as pedestrians or bicycles, using automotive radar. Detection at relative speeds of 200km/h is possible. In addition, by combining this circuit with a concurrently developed four-channel CMOS transmitter circuit, which can be used to measure and control millimeter-wave beams with a phase precision within 1degree, the user can scan their surroundings with a high level of precision, which can be expected to help realize automotive radar that supports high-speed travel and monitoring of surroundings. 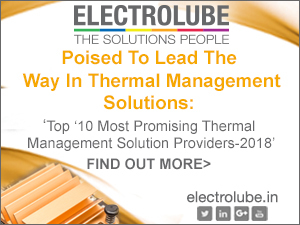 Details of this technology have been presented at European Microwave Week 2016 (EUMW 2016), Europe’s largest conference related to microwave technology, which ran October 3-7, in London. In recent years, Advanced Driver Assistance Systems (ADAS) have emerged to help motorists drive more safely. ADAS provides vital functions, such as automatic braking, collision avoidance, and lane-keeping assistance, which can be expected to serve as the foundation for future self-driving vehicles. Millimeter-wave radar is a technology that is expected to serve as the “eyes” of ADAS, as it can make up for the weaknesses of optical cameras in adverse environments, such as at night, during rain, fog and backlighting. 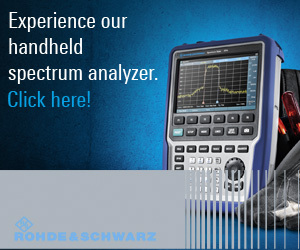 More than just the conventional use of the narrow 77-GHz band for monitoring in front of and behind vehicles, in recent years there has been increasing interest in peripheral monitoring radar that uses a broader band of 79 GHz. 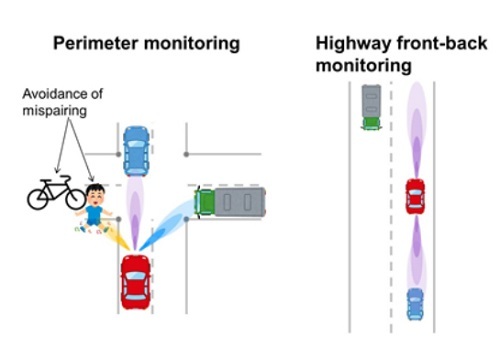 One of the most common forms of millimeter-wave automotive radar is “Frequency modulated continuous wave” (FMCW), in which the millimeter-wave signal’s frequency is modulated at a high frequency, but this has a shortcoming in that as it approaches targets moving at different speeds-such as a vehicle and a pedestrian-it tends to overlook one of them. 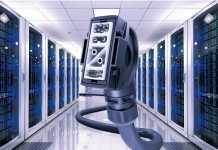 To overcome this detection error, another approach that has been gaining interest is fast-chirp modulation (FCM). With FCM, raising the modulation speed enables detection with better distance resolution and a broader range of target-objects speeds. The signal-generator circuit, which controls the frequency of the millimeter-wave signal, continuously reads in and counts the millimeter-wave signal pulses, applies a voltage to the frequency controller based on that count, and modulates the frequency. Circuits used in automotive radar are expected to perform normally at ambient temperatures as hot as 150degC, but with conventional CMOS signal generators, the internal signals slow down and the counts become inaccurate. Without being able to increase their modulation speed, the relative speed where detection is possible is limited to about 50 km/h. 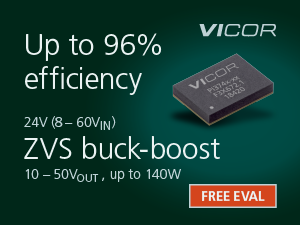 The new technology makes use of existing millimeter-wave CMOS design technologies, and focuses on the block in the signal generator that has the most effect on the counting operation. 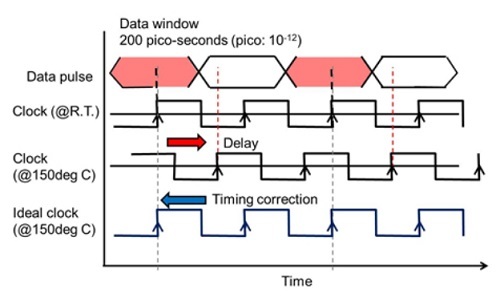 By adding a function to the block that compensates for delays caused by temperature changes, Fujitsu Laboratories was able to develop a new time-compensating pulse counter that operates accurately even under high temperatures (Figure 3a). Even at temperatures of 150degC, it keeps time to read pulses. This circuit enables the world’s fastest modulation frequency of 2 GHz for every 1 micro s at the 80 GHz band, and achieves the maximum relative speed detection (200 km/h) that is expected of radar. Fujitsu Laboratories also developed a four-channel CMOS transmitter circuit that can emit millimeter-wave signal beams in any direction, and measure and control those beams with a phase precision within 1degree (Figure 3b). This makes it possible for radar to scan and monitor the surrounding area with a high degree of precision, with resolution at a 5-cm interval anywhere within a 10-m radius, for example. 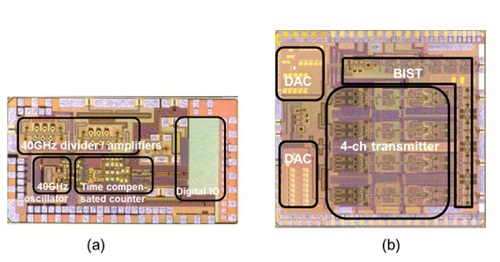 Figure 3: Millimeter wave CMOS chip (a) millimeter wave signal-generator circuit, (b) 4-channel CMOS transmitter circuit. These technologies can be used by two oncoming vehicles moving at 100 km/h (a relative speed difference of 200 km/h) to detect the other’s distance and speed. The technologies are expected to be used in radars that can both be used at high speeds on highways and on city streets to monitor a vehicle’s periphery. In order to realize an increasing range of automotive radar functionality, Fujitsu Laboratories is working on developing a CMOS millimeter-wave radar chip that integrates a high-performance processor and other elements, and further advancing high-end functionality, with the goal of making these technologies practical from 2020.